During the first six months of 1942, these beaches revealed crude oil, twisted metal, and corpses from the Atlantic Ocean. 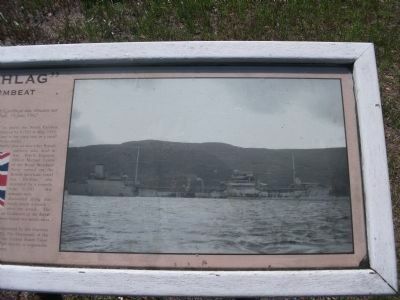 The grisly flotsam was evidence of War's toll imposed by Unterseeboote ("U-boats") of the German Navy. 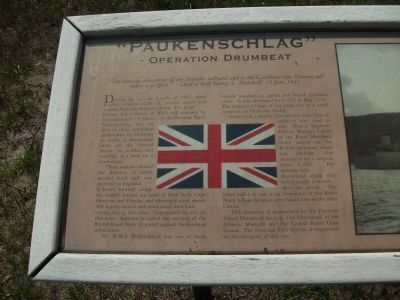 Paukenschlag was the first of these campaigns undertaken by Germany to strike a devastating blow on the United States "as sudden and startling as a beat on a kettledrum." These attacks choked the delivery of badly needed food and war materiel to England. U-boats hunted along the world's busiest sea lanes at New York, Cape Hatteras and Florida, and efficiently sunk nearly 400 lightly-armed and unescorted merchant vessels during this time. Unprepared for war on this coast, America accepted the services of the British Royal Navy to patrol against the German submarines. a small cemetery on Ocracoke Island. Interred in a nearby plot are two other British subjects who died in the war. Fourth Engineer Officer Michael Cairns of the Royal Merchant Navy served on the British merchant vessel San Delfino, also destroyed by a torpedo from U-203. His remains were discovered along this beach nearly a month after the attack. 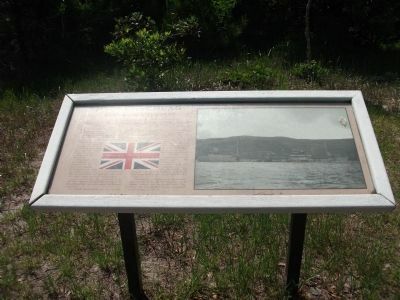 The other sailor at rest is an Unknown of the Royal Navy, whose remains were found two weeks after Cairns. 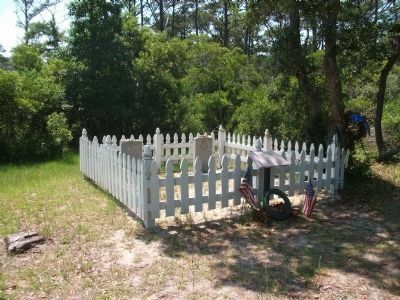 This cemetery is maintained by the Hatteras Island Historical Society, The Graveyard of the Atlantic Museum and the United States Coast Guard. The National Park Service is responsible for the integrity of this site. Location. 35° 14.882′ N, 75° 31.979′ W. Marker is in Buxton, North Carolina, in Dare County. Marker is on Lighthouse Road, on the right when traveling south. Touch for map. Marker is in this post office area: Buxton NC 27920, United States of America. Touch for directions. (approx. 1.7 miles away); Mitchell Demonstrates Air Power (approx. 5.2 miles away); America's 1st Attempt at Civil War Reunification (approx. 9.1 miles away). Touch for a list and map of all markers in Buxton. More about this marker. 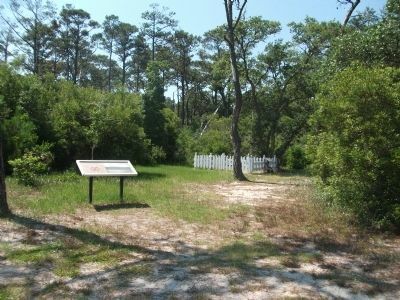 From the parking area at Cape Hatteras Lighthouse, follow the signs that lead to the camping area and watch for the marker on the right side of the road. Commonwealth War Graves Commission The Commission, established by Royal Charter in 1917, is maintained by the governments of Australia, Canada, India, New Zealand, South Africa, and the United Kingdom to mark and maintain the war graves of these countries no matter where they lie. 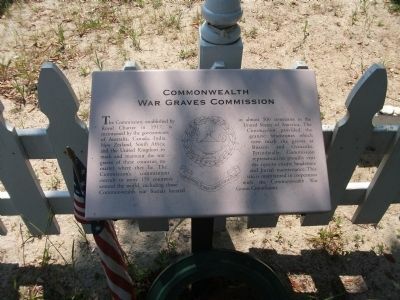 The Commission's commitment extends to some 150 countries around the world, including those Commonwealth war burials located in almost 500 cemeteries in the United States of America. The Commission provided the granite headstones which now mark th graves at Buxton and Ocracoke. Periodically, Commission representatives proudly visit the sites to ensure headstone and burial maintenance. This site is maintained in cooperation with the Commonwealth War Graves Commission. More. Search the internet for Paukenschlag. Credits. This page was last revised on June 16, 2016. This page originally submitted on June 21, 2010, by Patrick G. Jordan of Graham, North Carolina. This page has been viewed 953 times since then and 32 times this year. Photos: 1, 2, 3, 4, 5, 6. submitted on June 21, 2010, by Patrick G. Jordan of Graham, North Carolina. • Craig Swain was the editor who published this page.